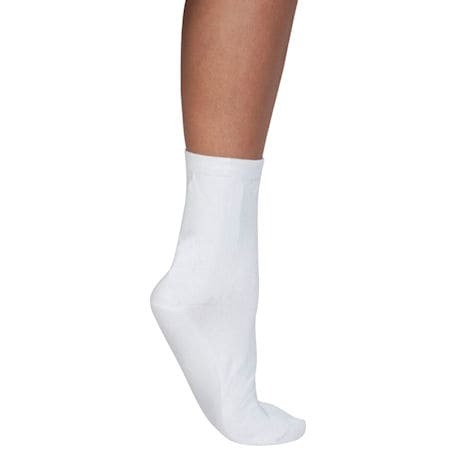 These socks might just be the ticket if the pins and needles of neuropathy pain are making walking difficult for you. 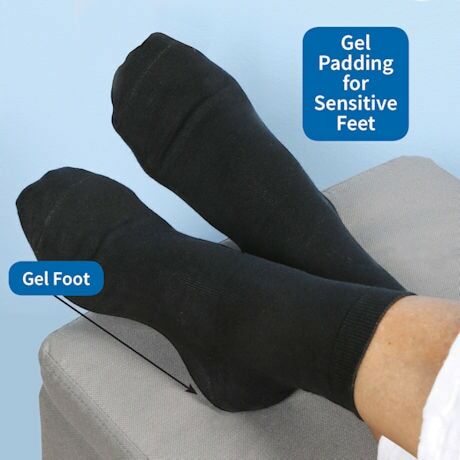 The entire footbed has 1/8" of soft, shock absorbing gel built right into the sock. The gel massages and comforts the foot while standing or walking making them perfect for neuropathic or rheumatoid arthritis sufferers. Black or white. 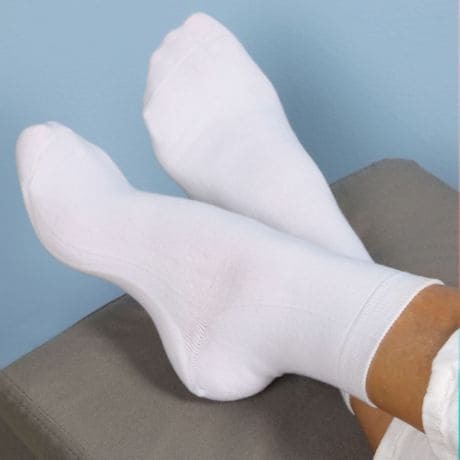 Sock Sizes: Women's 9-11 (fits Women's Shoe Size 6-10) or Men's 10-13 (fits Men's Shoe Size 9-12.5).